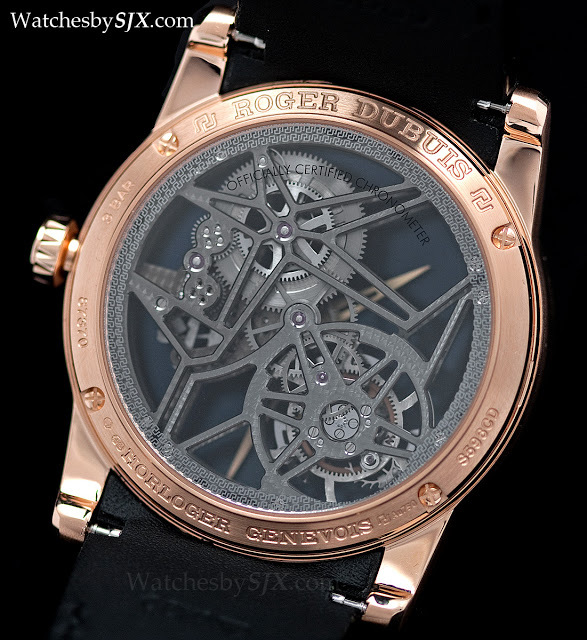 Roger Dubuis’s Excalibur Skeleton Tourbillon was presented for the first time in a 42 mm case at SIHH 2013. 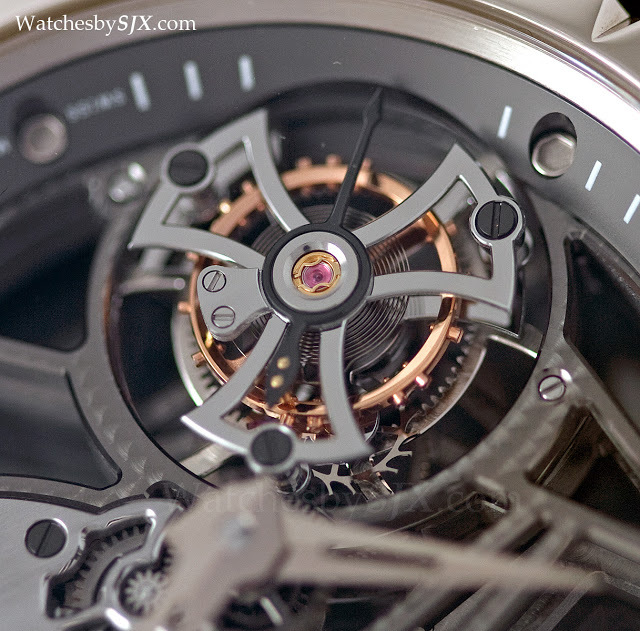 Retaining the same movement and styling, the watch is nonetheless radically different from its bigger brother. 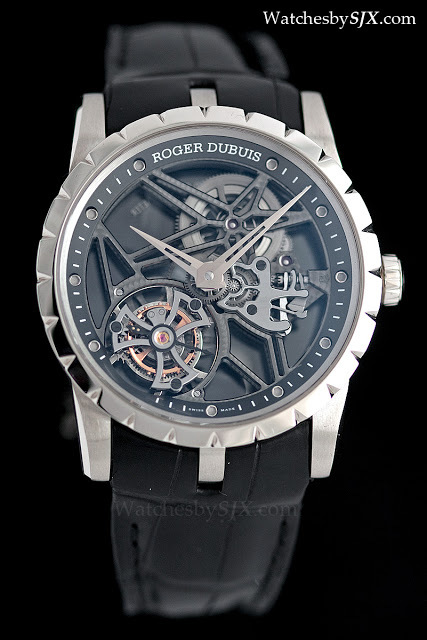 In recent years Roger Dubuis watches were generally large and shiny. 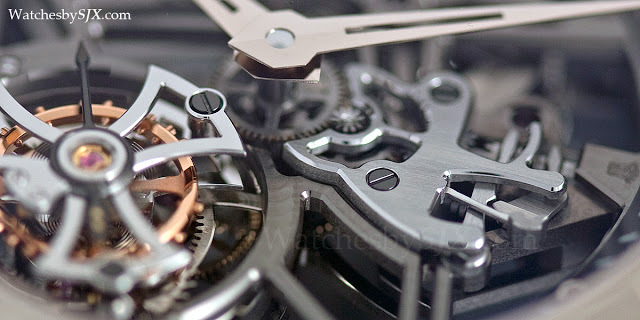 The ostentatious styling tended to overshadow the finer horological merits of the timepieces. 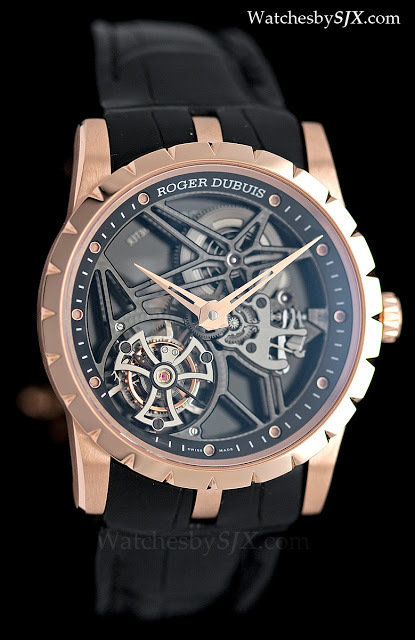 Roger Dubuis is now reversing course. 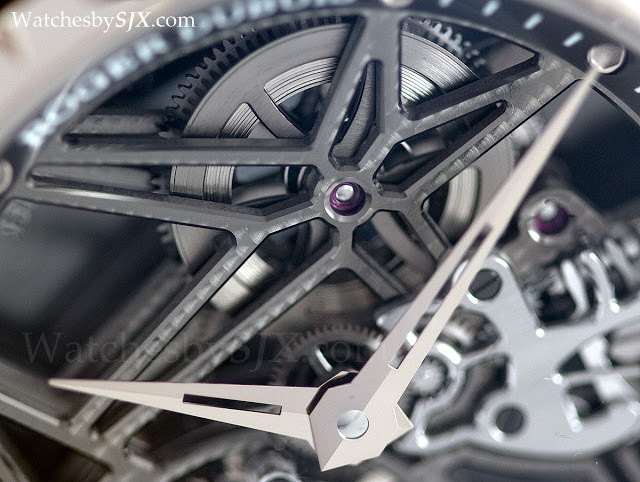 Earlier this year it unveiled the Excalibur 42 Skeleton Flying Tourbillon, a slimmer and smaller version of its signature timepiece. 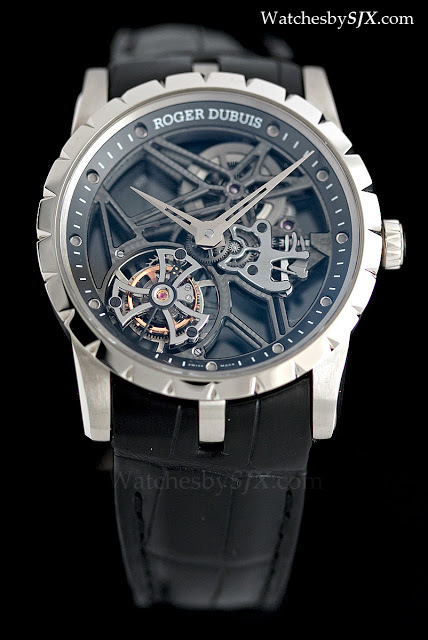 Now in a 42 mm case – it was previously 45 mm – the watch is decidedly more graceful and refined. 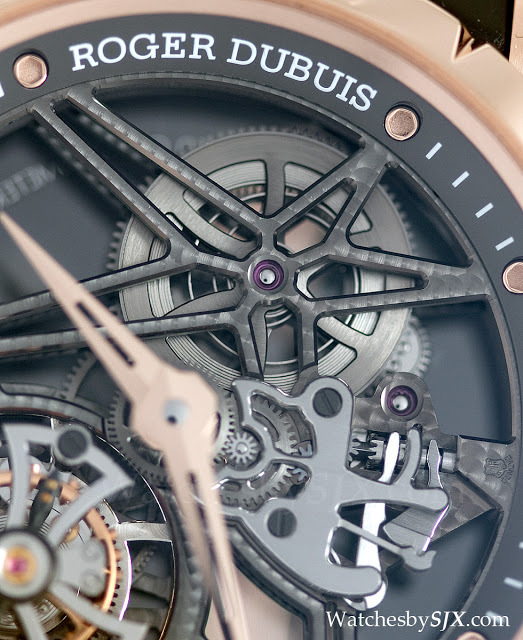 Less intrusive than its heavier and bigger sibling, the Excalibur 42 tourbillon sits much better on the wrist and fits easily under a sleeve. 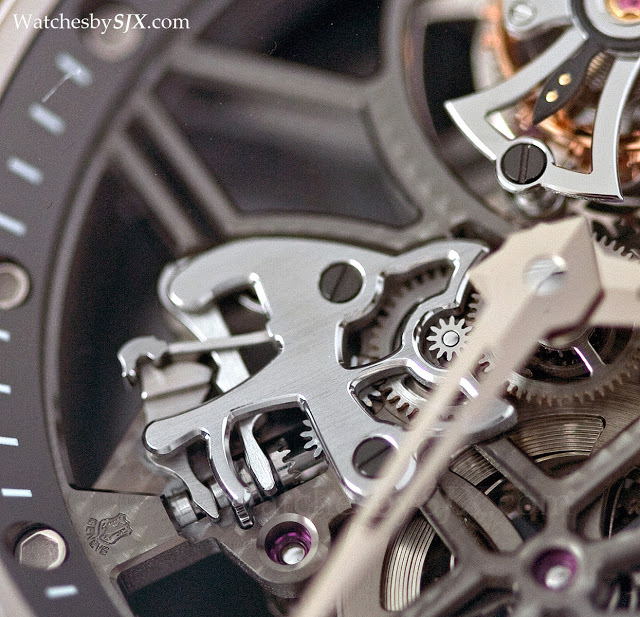 The movement, however, is the same RD505SQ movement found in the larger model. All the bridges have been reduced to the bare minimum and shaped to resemble a pair of stars. 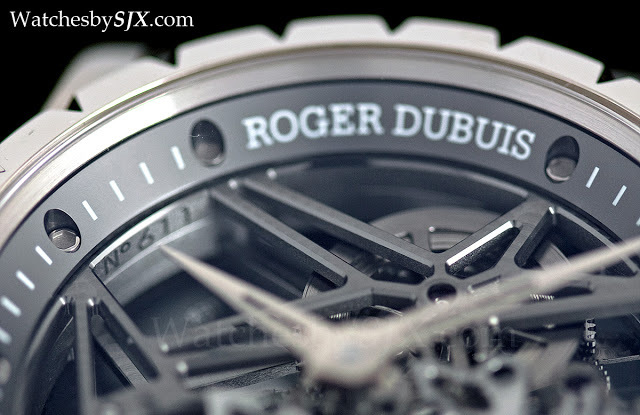 Because of the dark ruthenium coating on the bridges, the finishing is not easily visible. All the bridges are finished with perlage, or circular graining. The perlage is done to a high standard – the circles are closely and evenly spaced. 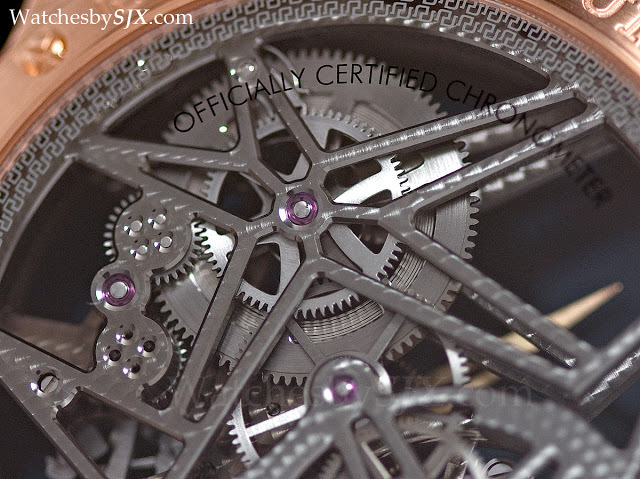 The rest of the movement is well finished, to Geneva Seal standards, though in terms of design and construction it is not particularly elaborate. 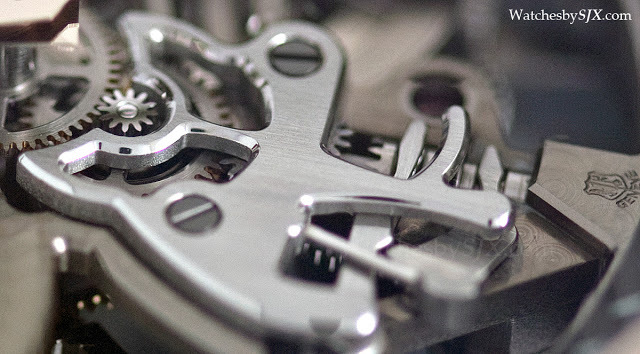 Take the keyless works for instance, brushed and well bevelled but simple in form.